Today we met Tony who came from the Ulster Scots agency. Our drumming workshop was all about rhythm! 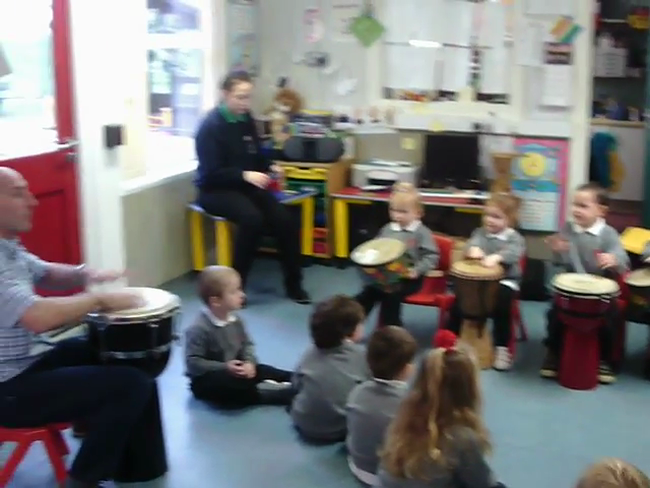 We had fun playing different drums to make a rhythm. 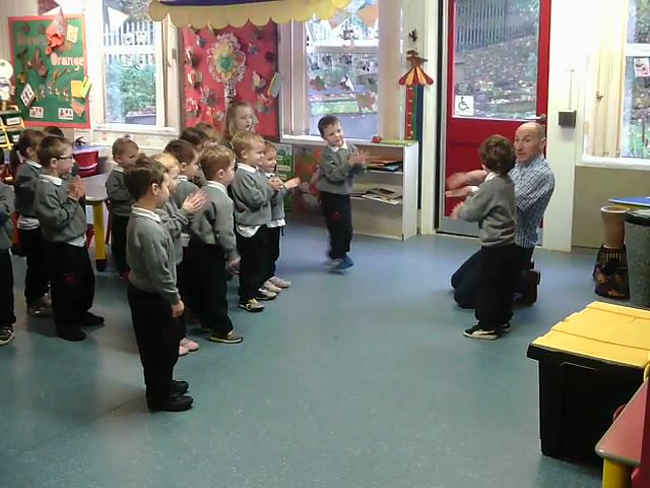 We played the Turkish drum, Knee drum, Djembe drum and a Talking drum. It was a lot of noisy fun! !